In researching the emotional value of urns, the what/why people choose urns verses holding onto that little white box we found this: "Cost may be a factor in choosing an urn. However, too often family members choose not to purchase an urn simply because they don't see anything they like or they don't perceive any of the urns available to them as being reflective of their loved one." Q: Our firm has a hard time selling cremation urns. It seems as though many families are satisfied with the container. 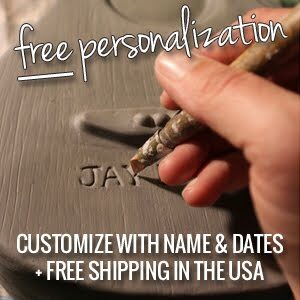 Can you share some information on how to effectively convey the value of a cremation urn? A: The most recent industry research (a 2006 Disposition, Container and Service Survey conducted by the Cremation Association of North America) indicates that approximately 60 percent of families selected a cremation urn vs. a temporary container. Though more urns are being purchased now than in previous years, there are still families who do not see value in a permanent urn for their loved one. A permanent urn serves as a protective container and becomes a treasured memorial for a loved one that will last for generations. A plastic or cardboard container is a temporary receptacle that houses the cremated remains until a permanent urn is chosen. Cost may be a factor in choosing an urn. 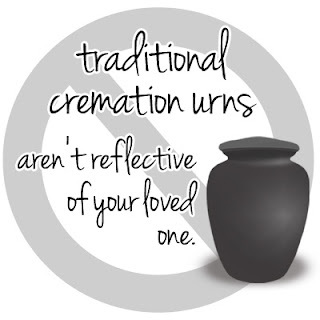 However, too often family members choose not to purchase an urn simply because they don't see anything they like or they don't perceive any of the urns available to them as being reflective of their loved one. From high-end artistic pieces to less expensive brass and veneer wood urns, an abundance of products are available today to suit the many needs of families choosing cremation urns for their loved ones. Firms who have a high ratio of cremation urn sales attribute their success to their up-to-date offerings, an effective display and the ability to guide families through the selection process. This is an important point to make in why we have decided to pursue our ideas for cremation urns...we hope to change the notion of the typical urn form found in traditional urns, by creating works that are out-of-the-ordinary and down-to-earth…sculptural urns that are honest in subject, but discreet in function. It is our vision to create endearing pieces that match the personality or interests of the individual, while also serving as an artistic element among home décor. 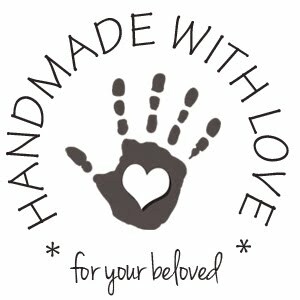 Our goal is to provide to families heirloom-quality works of art that have a distinctive presence that they can feel a connection to, find comfort in, and have stories for generations to come.